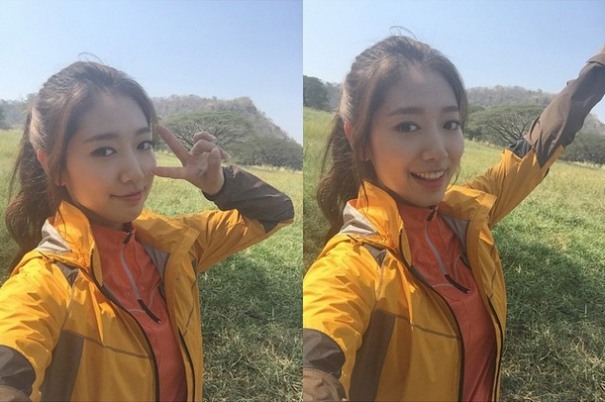 "Pinocchio" actress Park Shin-hye on Monday shared selfies via social media while shooting an ad campaign for French outdoor clothing brand Millet in Thailand. "(Park) will film commercials and promotional campaigns. She will be busy touring Asia in the first half of this year," said a spokesperson for the actress, who left for Thailand on Sunday. The 24-year-old wrote in the caption to the Instagram photos, "Experience the truth ... Millet ad campaign ... The weather in Thailand is amazing. The Thai winter is both warm and refreshing ... Please look forward to the new promotion for Millet." Millet, which is owned by Lafuma, is a French company that retails outdoor equipment and clothing. Park recently filmed a campaign for another French label, fashion jewelry brand AGATHA.